During a recent homily given by our priest, he talked about recognizing God’s presence in our lives. The message spurred a conversation between my husband and me. We each find God differently, such as on the beach at the ocean, or sitting quietly in prayer. 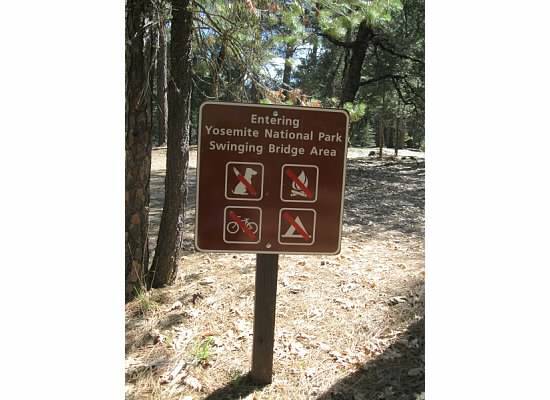 But we both agree that we find Him always at Yosemite National Park. 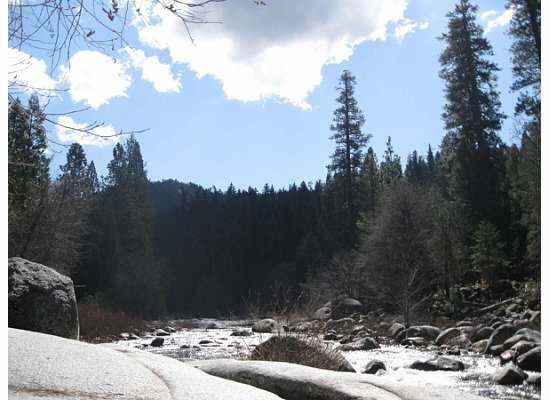 South fork of the Merced River looking north. 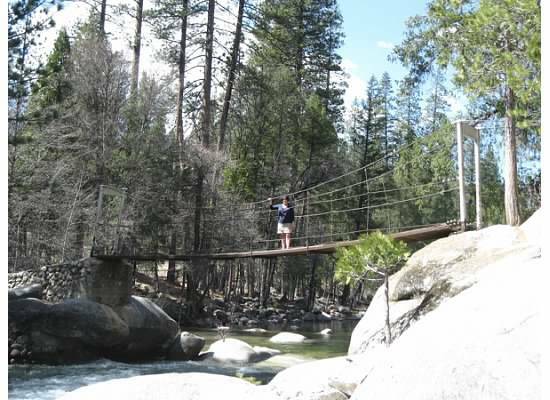 For a brief afternoon outing, Chris and I walked the short trail to Swinging Bridge in Wawona. The bridge itself is actually a wooden plank suspension bridge that jostled us as we walked across. 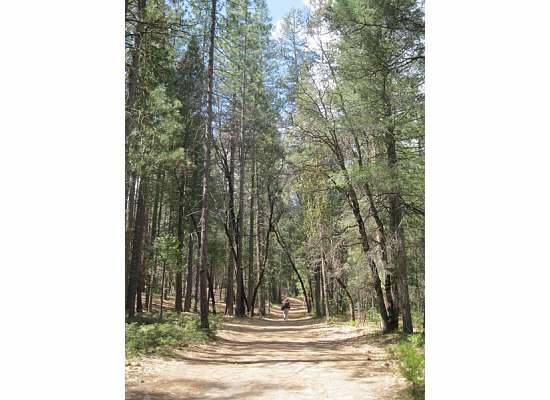 The trail leading to the bridge was wide, flat and well cleared of fallen trees. Manzanita just beginning to bloom, oaks, and fragrant pines lined the way. Two deer with twitching ears cautiously watched as we walked by. 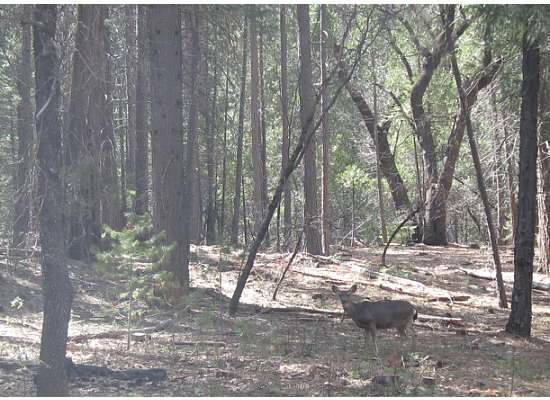 A mule deer, named for its “mule-like” ears. 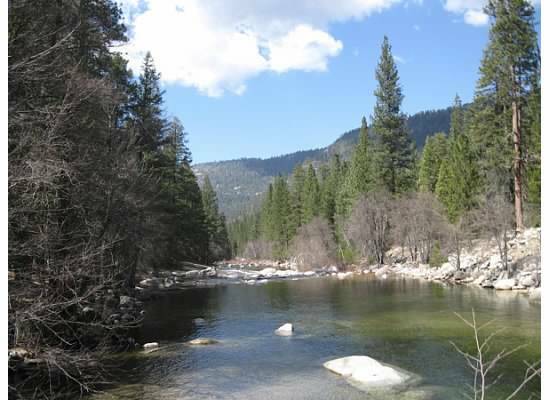 The South Fork of the Merced River adjacent to the trail escorted us to the bridge. Once over the bridge, there was the option of continuing to walk and make the hike a four-mile loop. 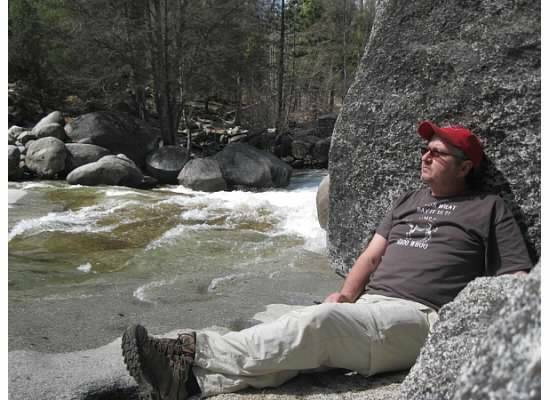 I followed Chris across, then up and over the rocks and boulders to a flat granite slab in the sun near the water’s edge, a perfect spot to eat lunch. Many years the river is full and rages over the rocks ultimately making its way to the Pacific Ocean. This year, though the water level was low, the turbulence and sound it created was no less spectacular. Above us, white clouds moved slowly across the sky. Below us, water swirled about the rocky shore creating fascinating designs. And all around us, was God. Like my priest said, people experience God in different ways. For Moses it was the burning bush; and Elijah, a gentle breeze. For me, it’s anywhere I am in the great outdoors. I’m wondering, where do you experience God? 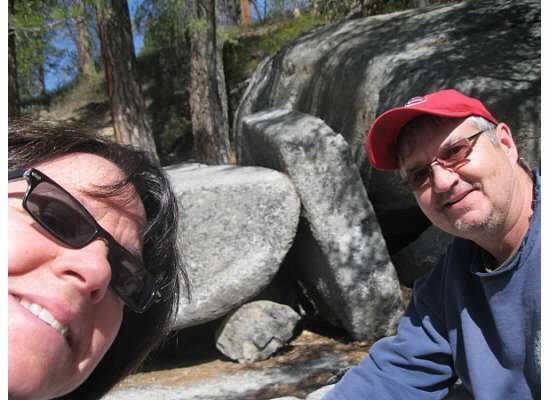 This entry was posted in Yosemite Hikes and tagged God, Hiking, Merced River, Swinging Bridge, Yosemite, Yosemite National Park on March 24, 2014 by Janet. That was so cool, Janet! Like you I find God all over Colorado and its beautiful scenery! Great post! Thanks, Dad. 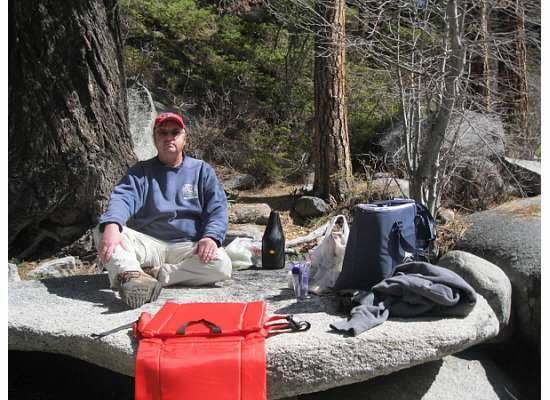 We brought wine, sandwiches, salads, chips, sit-upons and a blanket, waters and soda (for Chris). We weren’t walking far so it was easy to carry. You’d be able to do this hike. I commute into work everyday and when my train approaches the Transbay tube where we go under water from Oakland to San Francisco, that’s my cue to pray. Whether I’m standing or sitting, reading a book or journaling, I take these few minutes to pause each day and pray. So I guess my place where I find God is under the Bay Bridge! That is a cool place to pray. Thanks for the comment.